DHL Parcel and POST Luxembourg have signed a strategic partnership on cross-border parcel shipping which will see POST Luxembourg become part of the DHL Parcel Europe network. Managed by DHL Parcel, the name of the service being offered is called Parcel Connect. It runs through cooperation with other parcel service providers in Europe. Initially, the services offered will only cover delivery of parcels from Europe to Luxembourg (import). The cooperation with POST Luxembourg will allow the DHL Parcel Europe network to benefit from improved transit times to Luxembourg and to gain access to the country’s largest network of service points and parcel stations. In a second phase, POST Luxembourg will also offer export services from Luxembourg (Parcel Connect Export). 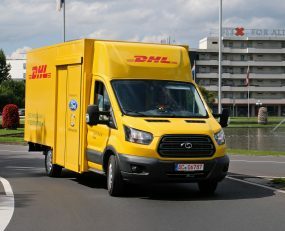 Parcel Connect was introduced by Deutsche Post DHL in 2014. Following the addition of Luxembourg, 26 countries belong to the DHL Parcel Europe network.